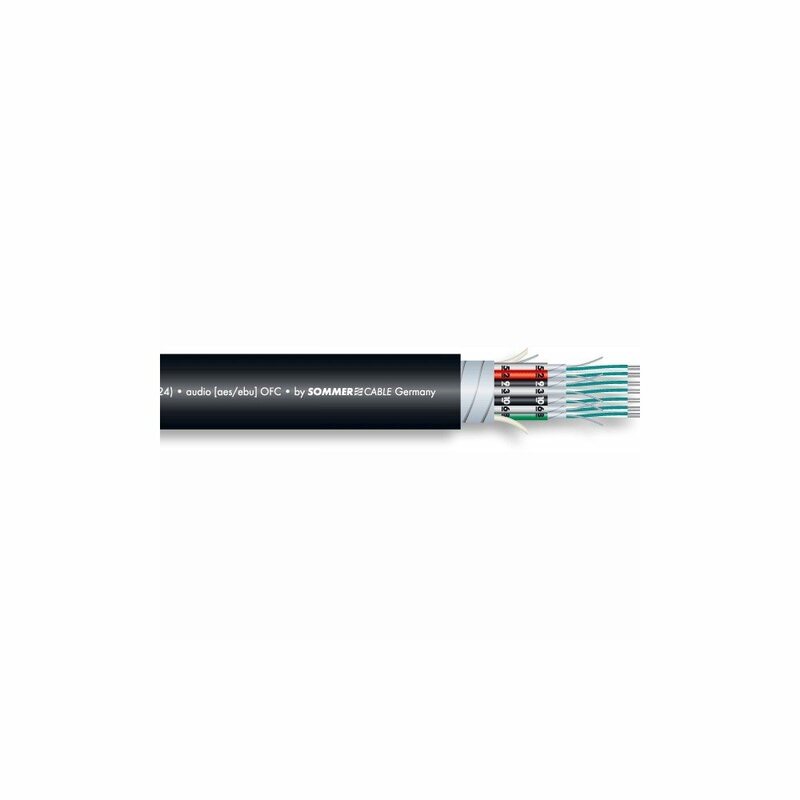 SOMMER MISTRAL DOUBLE SCREENED JACKETED STUDIO MULTICORE This multicore encompasses all the highly desirable features of a multicore cable. 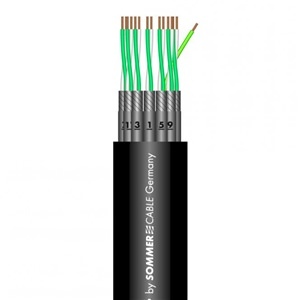 The cable is very flexible and treadable using a rubber like jacket material. The overall foil screen virtually stonewalls any unwanted magnetic and RF fields (excluded on 40 pair). It is secured to the outer jacket so is automatically removed when the jacket is stripped. Connection is via a twisted drain wire. The same applies to the foil screen surrounding individual pairs. Their jackets are pre-numbered and colour coded in groups of eight for rapid identification. 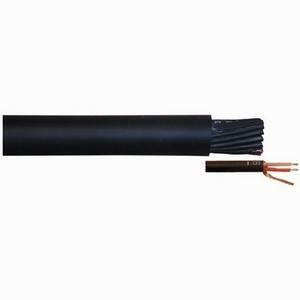 Conductors and drain wires are tinned to protect against corrosion and oxidation. 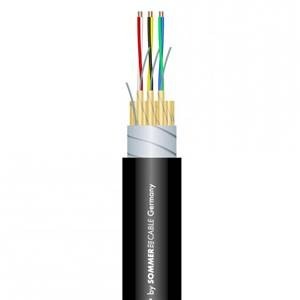 Both DC and self capacity losses are held to new lows by the use of generous sized conductors and an advanced dielectric material.All copper strands are of oxygen free copper. Surge impedance 85 ohms.